At the beginning of January, two of the world’s most formidable institutions – the UN Security Council and the US Congress – will for the next two years be getting some new tenants, along with the old ones. In the Senate, at least eight new Republican senators will take their seats in that august body along with their 45 party colleagues already there, giving the Republican Party control over the Senate as well as the House of Representatives for the first time since 2006. And in the UN, when the Security Council meets for its first 2015 session in January, five new countries will be sitting on that 15-member body: Angola, Malaysia, Spain, New Zealand and Venezuela. They will replace Rwanda, South Korea, Luxembourg, Australia and Argentina. Speaking from an Israeli perspective and in very broad terms, this means that while an already very supportive US Congress will now possibly be even more supportive, a generally very critical UN Security Council will now be even more critical, as fully three of the 15 states on the council – incoming Malaysia and Venezuela, along with current member Chad – do not even have diplomatic ties with Israel. And since everything in diplomacy is interconnected, the new composition of both those institutions will be on the mind of Prime Minister Benjamin Netanyahu in the coming weeks, when he decides on tactical diplomatic measures regarding how to deal with what he still views as Israel’s preeminent threat: Iran. Jerusalem let loose a palatable sigh of relief on Monday when it became clear that midnight would come and go without a nuclear deal between the P5+1 world powers – the US, China, Russia, France, Germany and Britain – and Iran. Instead of a deal, negotiations will continue, with a new deadline set for July. “The world’s powers rejected a bad deal on Iran’s terms,” Netanyahu said, praising the P5+1 for rolling over the Joint Plan of Action signed in Geneva in November 2013, an interim deal which Israel adamantly opposed and protested at the time, because it provided sanctions relief to the Islamic Republic without forcing it to dismantle its nuclear program. 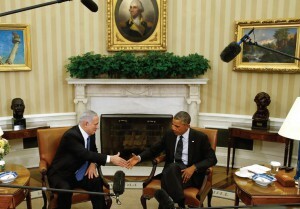 Now, Israel is happy that interim deal has been rolled over for a third time, rather than a final deal approved. And that struggle is likely not only to be between the world powers and Iran, but also to a much lesser degree between Israel and the US – over whether to push now for greater sanctions. Even as Netanyahu set down his marker on the sanctions issue early, saying the economic steps needed to be ratcheted up, Secretary of State John Kerry gave no indication that the imposition of stiffer sanctions was the direction in which the US was headed. And therein lies the kernel of the next round of tension between Netanyahu and US President Barack Obama: Whether, and to what degree, sanctions should now be stepped up to get the Iranians to be more pliable. Which is where the new composition of the US Congress, and the UN Security Council, may well come into play. If the Obama administration does not make moves in the coming weeks to increase the pressure on Iran through stiffening sanctions, Netanyahu may have to decide whether to pick a fight with Obama on this issue and give his backing to moves in Congress to do so. After all, it is Congress that initiated sanctions, and it is Congress that can decide to stiffen them. Such a move would unleash a bruising battle that could, in the end, lead to a presidential veto and political fight that would expend political energy and capital the president might want to save for other battles. Netanyahu may well be faced with the following dilemma: If the administration says it will oppose sanctions, to what extent does he respect that? Or on the other hand, to what extent does he say that sanctions are critical, and place his full weight behind congressional moves to get more of them imposed? But any decision to back congressional sanctions, essentially a decision to fight the president on this point, would carry consequences likely to be felt on the Palestinian playing field. For instance, if Netanyahu is perceived as trying to do an end-around the president, then might the president be less forthcoming in thwarting Palestinian efforts to do an end-around Israel and impose a solution on Israel in the UN Security Council? Palestinian Authority Foreign Minister Riyad al-Maliki was quoted earlier this week as saying the Palestinians would not bring a proposed resolution to the UN Security Council now, calling for a withdrawal to the pre-1967 lines within three years – because of American pressure not to do so, and because of an inability at this time to muster the nine votes on the Security Council needed to pass the resolution. But in January, when the five new countries join up, the Palestinian ability to get those votes will be greater, as will Israel’s need for the US to use its veto. But how much will Obama want to intervene if he thinks Netanyahu is going behind his back on Iran? In other words, the Iranian and Palestinian issues are linked after all. In the past, the linkage was always summed up with the phrase “Yitzhar for Bushehr” – the more Israel is willing to concede to the Palestinians, the more the administration would push on the Iranian dossier. 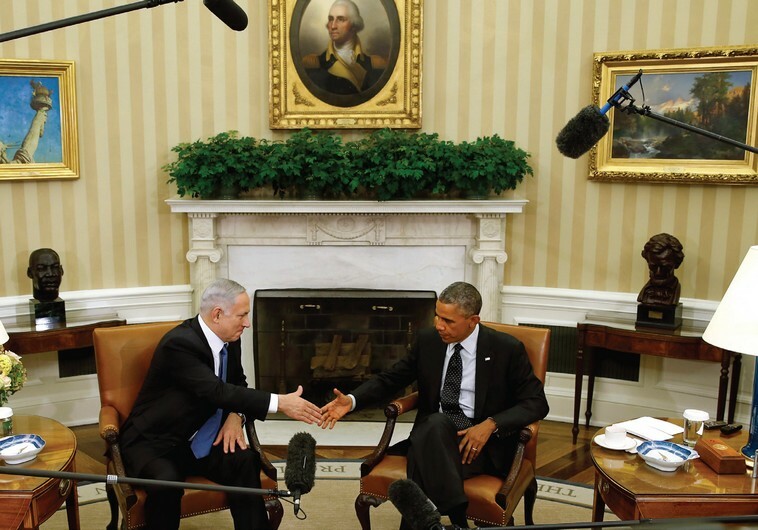 But now, the linkage is different: The more Netanyahu tries to force Obama’s hand on stepping up sanctions on Iran, the more Israel may pay in US support for its position on the Palestinian issue. Another scenario also emerges: The sanctions issue might be used in diplomatic horse trading, regarding issues such as building in Jerusalem. The US condemnation of the Ramot building indicated to Israel that Washington had made a decision to be “very tough” on all construction everywhere beyond the Green Line, essentially equating building in Ramot to building in every far-flung outpost. In the coming weeks, statements on issues like this one could be tied to Netanyahu’s statements – and actions – on Iran sanctions. The more Washington perceives that Netanyahu is trying to go around the president to impact policy on Iran, the more the Obama administration may be critical of Israel regarding Jerusalem construction and other related issues. Far-fetched? Hardly. In diplomacy, disparate elements are often connected in ways that at first glance, do not always seem obvious.